The orchard is just a normal backyard on sandy soil in SE Qld. All the fruit trees are in full sun. There is never any frost. Our biggest challenge is building up the sand. I have been adding compost, manure, kitchen scraps and anything else that will rot down for nearly ten years now and it is still basically sand. During the recent heavy rains in SE Qld, we had 12 inches of rain in two days and there was not a single puddle. As fast as the water falls, it's gone, and the soil goodness with it. This tree has been in the ground for 7 years now and has never flowered. We are thinking perhaps it does not get cold enough to initiate flowering here on the coast. It is a lovely tree. 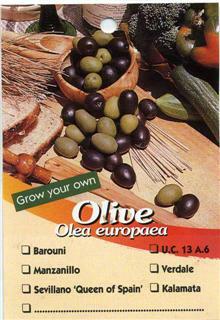 If anyone has any tips for making olives flower please let us know. None has been required at this stage.